A “jack of all trades”. Swiss Army knife. Mister “Can-Do-It-All”. And to be completely objective: perhaps the most underappreciated player in the NFL’s soon-to-be 100 year history. For younger fans of the New Orleans Saints NFL football team: the names of players from the team’s past whom are considered an integral part of the franchise’s at-times colorful 52-year history, are nothing more to them than men who were considered important long before their birth — and who otherwise hold very little or no meaning to them personally. So you’ll have to forgive them for not being too familiar with the name of the former player who so fittingly represented those terms in the opening sentence that are associated with the versatility to perform a variety of different tasks: early 1980’s Saints wide receiver / quarterback / punter and punt returner Guido Merkens. Now over 35 years after his first game in a Saints uniform (during the last part of the 1980 NFL season when he was claimed off waivers from the Houston Oilers), the “Legend of Guido” lives on for the New Orleans Saints. Merkens, a San Antonio, Texas native, played quarterback, running back, wide receiver, punter and defensive back for ten seasons for the Oilers, Saints and Philadelphia Eagles, in the years spanning his rookie year in 1978, until his final season in 1987. Merkens was a 1973 graduate of Edison High School in San Antonio, then played both quarterback and defensive back for Sam Houston State University. His very notable versatility in both high school and college would go on to became a hallmark of his professional career. In his first two seasons in the NFL with the Oilers, he was primarily a punt return specialist. But it was during his tenure with the Saints however, where Merkens made his NFL mark, becoming a HUGE fan favorite for a Saints fan-base that had just survived the infamous (1-15) “Aints” season in the year 1980, and were desperate for new players and stars to cheer for. With his funny-sounding name and his well-known ability to play on both sides of the football as well on special teams, his seemingly-odd popularity resonated especially with those fans within the city of New Orleans, known for its many quirks and differences to begin with. Merkens’ notable versatility impressed then-Saints head coach Bum Phillips (who had just coached him with the Oilers) so much, that Phillips decided to expand Merkens’ role and had him play 3rd-string quarterback, be the holder for field goals, and serve as the team’s ‘primary’ special teams player; with occasional time as a wide receiver, punter or even on defense as a free safety. He even averaged 12 yards per kick return and 7.9 yards per each punt return that year. His penchant for being the emergency backup for all of the aforementioned positions earned him the reputation of a “jack of all trades” (as noted above), one which would make him legendary (among older Saints fans for sure) all of these years later. In his first legitimate “full season” worth of action during the team’s (4-12) re-building season in 1981, Merkens was the #3 wide receiver (a.k.a. possession receiver) in the Saints offense. Merkens actually finished ranked 4th on the team in total offensive yardage behind fullback Jack Holmes , running back Wayne Wilson, and 1981 NFL Rookie of the Year George Rogers in the rush-heavy offensive scheme employed by Phillips, as he grabbed 29 passes for 458 yards and a touchdown, with 11 starts. During the strike-shortened 1982 season (only 9 games were played, since 7 games on the schedule were cancelled), Merkens saw action at QB; as the Saints transitioned at starting QB from NFL QB legend to another. That series of events took place when Phillips traded then-starting QB Archie Manning to the Oilers during the early portion of Week #2 that season, about a week right before the player’s strike (which lasted from Week #3 through Week #9) began. Phillips got rid of Manning because he had originally decided to turn over the Saints QB reins to his chosen heir apparent to Manning — 1981 NFL Supplemental Draft #1 pick (from the University of Illinois) Dave Wilson. But then, Wilson unexpectedly blew out his knee in the 1st 1982 Pre-Season game; and it left Phillips with Manning as his starting QB anyway; which then prompted Phillips to make what some considered to be a desperation move: when he lured 36-year old former Oakland Raiders and Houston Oilers QB Kenny “The Snake” Stabler out of retirement. After Manning struggled badly in the Saints’ season-opening loss to St. Louis, he was pulled from the game and replaced by Stabler — permanently. Two days later, Manning was a Houston Oiler. The NFL players would then go on strike, cancelling most of the remaining 1982 season. The strike lasted 57 days, reducing the 1982 season from a 16-game schedule per team to an abbreviated nine game schedule. The Saints would finish (4-5), just narrowly missing a Playoff berth. Merkens had 49 pass attempts in spot-duty behind Stabler that year, completing 18 for 186 yards, one touchdown and two interceptions. He also carried the ball nine times for 30 yards, while scrambling from the pocket as a runner. He saw action initially in mop-up duty after Phillips pulled Stabler out of the game during a 35-0 blowout loss to the hated arch-rival Falcons in Atlanta in early-December (which would have been Week #13 had it not been for the strike), and it turned out to be the worst loss (point-differential wise, anyway) of Phillips’ time in New Orleans. Merkens would see even more time the following week after Stabler’s throwing arm was injured during the team’s 21-7 loss to Dallas, a game in which “The Snake” completed only 2-of-10 passes and was intercepted twice. Merkens did manage to hit on 4-out-of-10 passes in somewhat more extensive action, as the Cowboys essentially ran out the clock for an easy win. His only start of his NFL career as a QB would be the next game at home in the Superdome on December 26th, against the Washington Redskins. “There is nothing better than to be No. 1,” then-All Pro Redskins DT Dexter Manley said after the Redskins’ defense sacked Merkens five times and limited him to 104 yards passing in a 27-10 whipping of New Orleans, while improving Washington’s overall record to (7-1) on their way to a Super Bowl-winning season. The Saints meanwhile lost their 4th straight game and fell to (3-5), which would kill their Playoff chances in that short and abbreviated season that year. Merkens’ one and only touchdown pass that year actually came several weeks earlier, on his first ever professional passing attempt: a fake field goal in New Orleans’ 27-17 victory over Kansas City, in the initial game played soon after the player’s strike had ended. But it would have to be the next year during the 1983 season for which Merkens is remembered most fondly for, at least by most older Saints fans. It was that year when the Saints made their first and only true push for a Playoff berth during the Bum Phillips Era, narrowly missing the Playoffs with an (8-8) record, which included the most memorable Saints regular season game in franchise history: a 26-24 loss to the Los Angeles Rams in the final regular season game, on the game’s final play. With an (8-7) record going into that final game, the Saints — with a win — would have finished with their first-ever winning season and their first playoff berth. However, Rams kicker Mike Lansford kicked a 42-yard field goal with :06 seconds left remaining to defeat the Saints 26-24, and advance to the playoffs. Other than that field goal, the Rams did not score a single point on offense, instead scoring via a punt return for a touchdown, two interception returns for touchdowns, and a safety. In any event: Merkens filled a variety of roles in that unforgettable 1983 season, which included him filling in for punter (and 1979 draft “bust”) Russell Erxleben, punting four times for a 36-yard average. And then of course: who can forget this iconic image of him and Saints Hall of Fame kicker Morten Andersen celebrating the Saints’ heart-stopping 34-31 win over the Chicago Bears in overtime during Week #3 of that year? Merkens’ role gradually diminished with the team afterwards, though in the 1985 season he did manage to grab 3 passes for 61 yards and another score in very limited action; despite being at the bottom of the WR depth chart behind starters Eric Martin and Jeff Groth. After Phillips resigned (before new owner Tom Benson could fire him), former USFL Champion head coach Jim Mora would take over the reigns of the team; and Merkens was released. He sat out the 1986 season, before playing one final NFL season in Philadelphia with the Eagles in 1987, where he saw limited reserve action as a 3rd string QB and the team’s #5 WR. Following the 1987 season, Merkens ended his brief but at least if nothing else, memorable playing career. So where is Merkens these days, in 2018? He’s now 62 years of age, and lives a quiet life in the north Houston area. He serves as the General Manager of the local Houston-area CarMax dealership on I-45 North near FM 1960; a title that he’s held for nearly the past 15 years. But undoubtedly, the “Legacy of Guido” lives on for the Saints franchise and for the history books. And of course: those older fans who remember when the “jack of all trades” was the best all-around player on a not-so-good-but-still-beloved team, during his days spent wearing the Black and Gold……. 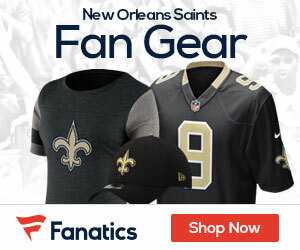 TRUE OR FALSE: Is the Sudden “Decline of Klein” Being Greatly Exaggerated for the Saints Defense?